Dr Ian Yuen‘s practice specialises in hand and wrist surgery and provides comprehensive surgical care for all hand and wrist conditions. He has a great deal of experience with minimally invasive office treatments such as corticosteroid injections. When surgery is necessary, the safest and most reliable surgical techniques based on experience and research will be offered. Dr Ian Yuen completed his medical degree at the University of New South Wales in 2002. Afterwards he completed his advanced training in Orthopaedic Surgery with the Australian Orthopaedic Association, which was completed in 2011. Wishing to further his expertise in Hand Trauma and Microsurgery Dr Yuen completed Hand and Wrist Surgery fellowships at Royal North Shore Hospital with Professor Michael Tonkin, the National University Hospital, Singapore and Chelsea and Westminster Hospital, London. Dr Yuen specialises in Hand Surgery and manages conditions of the hand and wrist including bony and soft tissue injuries and reconstructive microsurgery. He is able to offer his patients the latest surgical treatments of an international standard. Dr Yuen also has a special interest in the minimally invasive treatment of Dupuytren’s contracture with the use of injectable collagenase. Dr Yuen serves the needs of Sydney communities by taking part in Hand Emergency and Trauma on call rosters at Liverpool/Fairfield Hospitals as a Hand Surgery Consultant VMO. 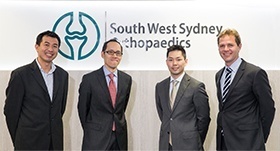 Dr Yuen also has private consulting rooms at Macquarie University Hospital as well as in Liverpool at Sydney South West Orthopaedics. Continuing education is important to Dr Yuen. He is a Clinical Lecturer at Macquarie University and regularly teaches trainees and students at the Sydney Adventist Hospital. Dr Ian Yuen main consulting rooms are located at Macquarie Hand Unit. For further information about Dr Ian Yuen please follow this link. 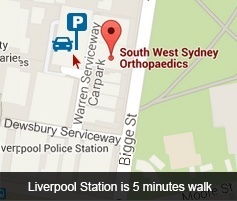 Why South West Sydney Orthopaedics?